Radiate love today when you send the Pink Happy Bouquet to your special someone! 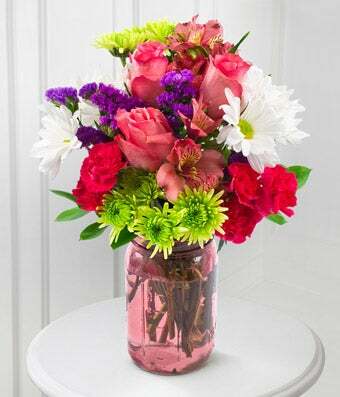 This modern, colorful bouquet will liven any room and will bring light to your recipient's heart. Make it a vibrant day by filling someone's house with stunning pink roses, white daisies, and pink Peruvian lilies all delivered in a cute pink vase.